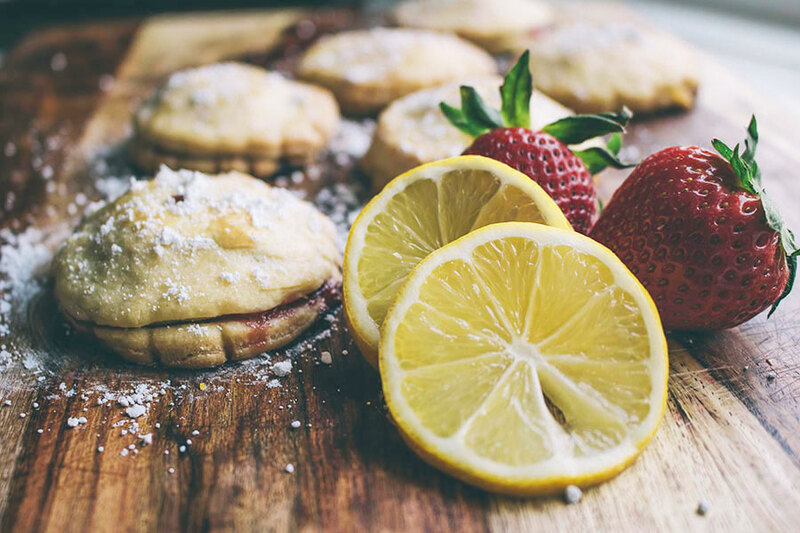 Check out the Strawberry Basil & Lemon Basil Hand Pies recipe after the jump. Refer to Homemade Pop Tarts for dough recipe. I doubled the recipe to make 14 hand pies. 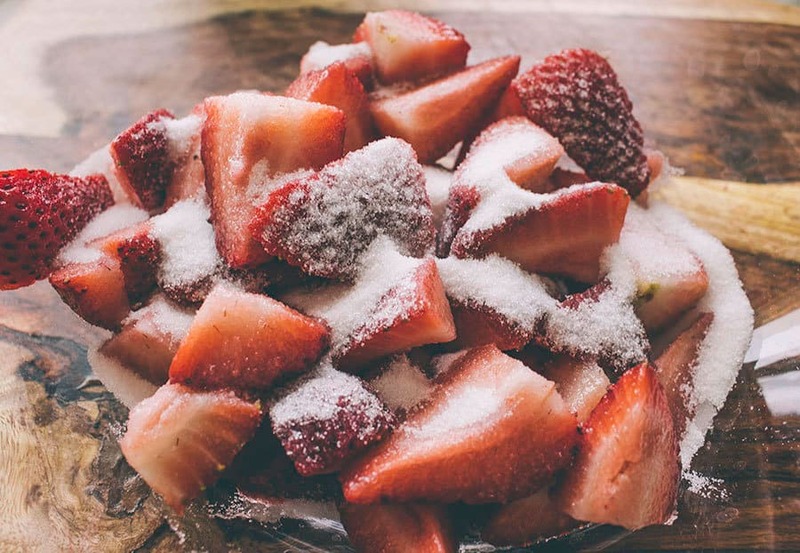 Chop strawberries into small pieces. 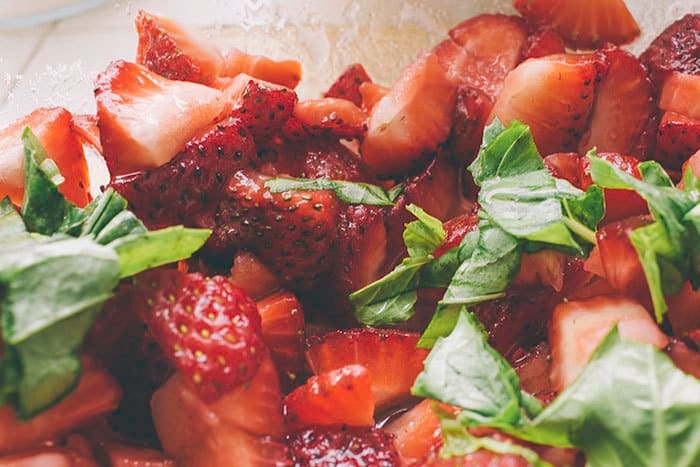 Mix together strawberries, sugar, basil, and conrnstarch in a medium size bowl. 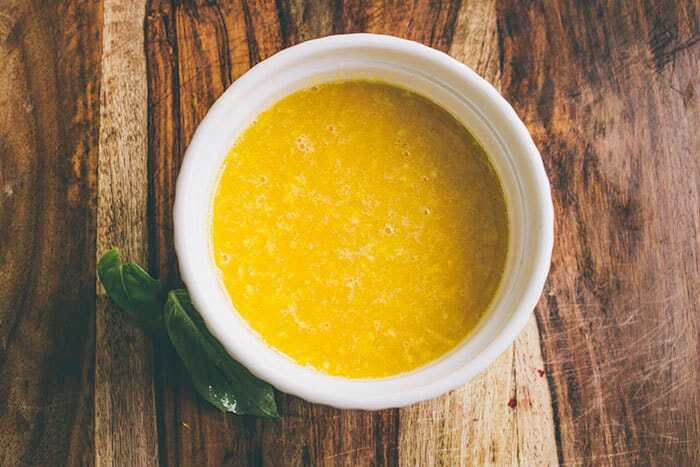 Start by whisking together your four yolks, sugar, lemon zest, and juice in a medium size ramekin or heat-proof bowl. Next, fill a saucepan about 1/4 of the way up with water. You will set the ramekin inside so you don’t want the water to overflow inside the ramekin. Boil water and bring it down to a simmer. Place the ramekin of ingredients inside the saucepan. Continue to stir the mixture constantly with a wooden spoon until it starts to thicken. You will be able to smell the eggs cooking, but make sure the heat is low enough so you don’t find yourself with scrambled eggs. 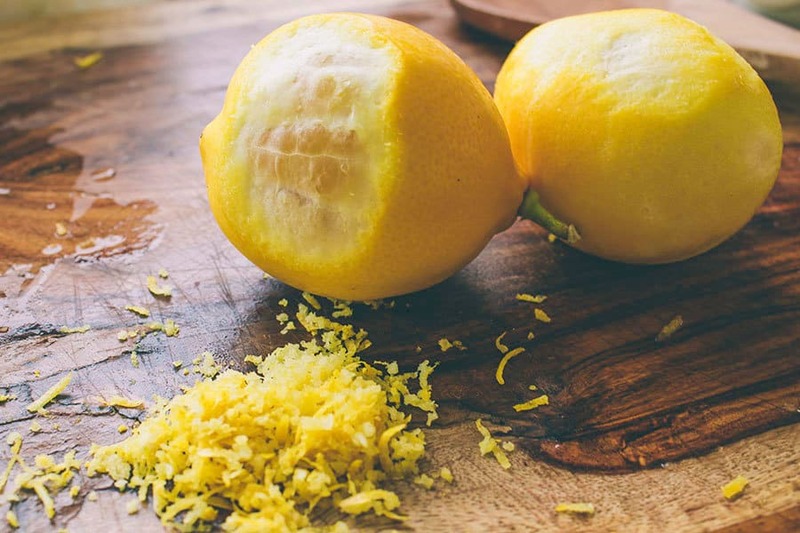 Remove the mixture and add in your cubes of butter slowly, while mixing it all together. Add a pinch of salt and basil. Preheat oven to 350 degrees. Take a little more than 1/4 of the dough and set aside. 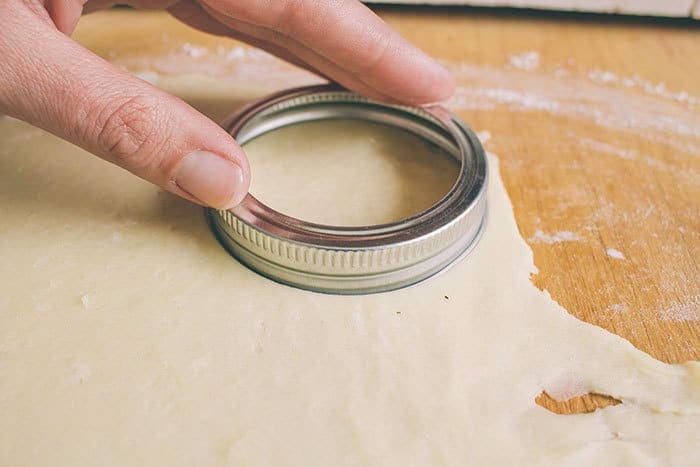 Take the larger piece of dough and roll it out to be about 1/4 inch thick. We used a mason jar lid to make our circles. 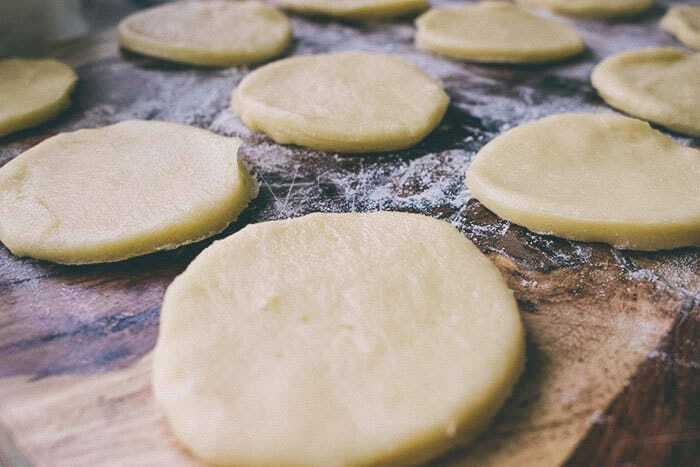 Lay out the first set of dough circles on a lightly floured surface. Spoon 1 tablespoon of each filling onto the circles. 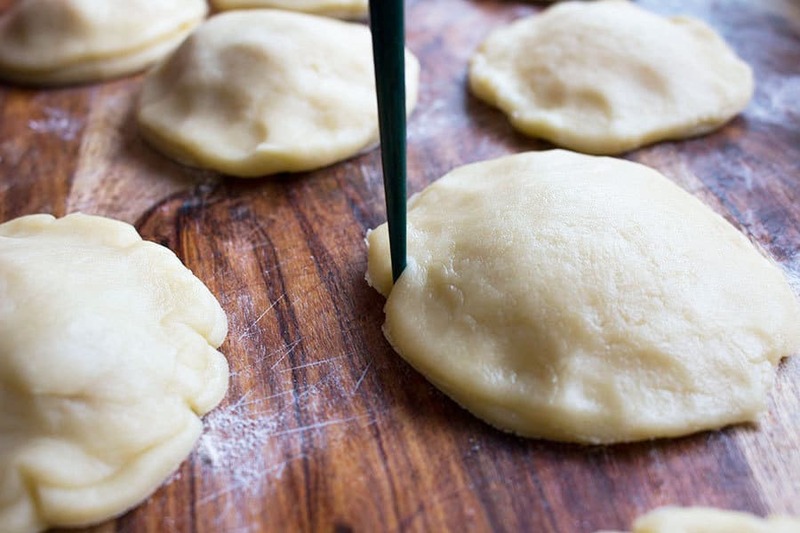 Roll out the smaller piece of dough to about 1/8 inch thick and cut into circles. Place these circles on top of the others. I used a chopstick to push in the edges to make them scalloped. Brush egg on top of each pie and on the edges to seal them closed. Poke holes with a fork or knife to let out steam when it is cooking. Bake for 30-35 minutes, or until golden brown. 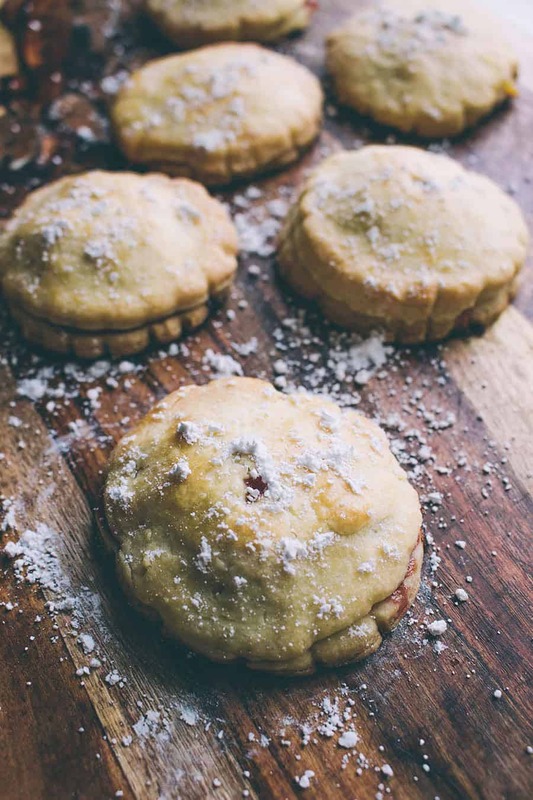 Let cool, sprinkle with powdered sugar, and enjoy! 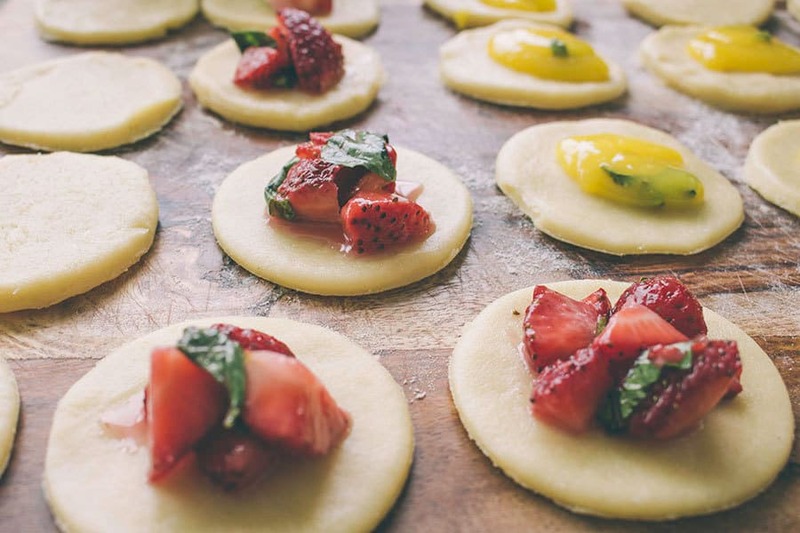 this look delicious and the photography is gorgeous! These look amazing! Also how did u edit the photos, I love them!